Develop a crop efficiency program. This program will track the water needs of the various crops planted within the District. This information can then be placed in a tabular form to assist the farmers in their anticipated future water needs. Thus, the amounts of water ordered can be tracked more closely. Develop a new water-metering program to more accurately record the usage of water within the District. Complete a well inventory within the District. This will allow the District to track and more accurately account for the water used within the District. Prepare a water needs assessment for the District. This will allow the District to examine how much additional water the District needs, to be able to provide water to the remaining developable lands (M & I or Agricultural) within the District that do not currently have a water allocation. Create a water conservation policy that requires developers (commercial and residential) or individual landowners requesting a water allocation to accept and implement the District’s water conservation measures as detailed in the policy. 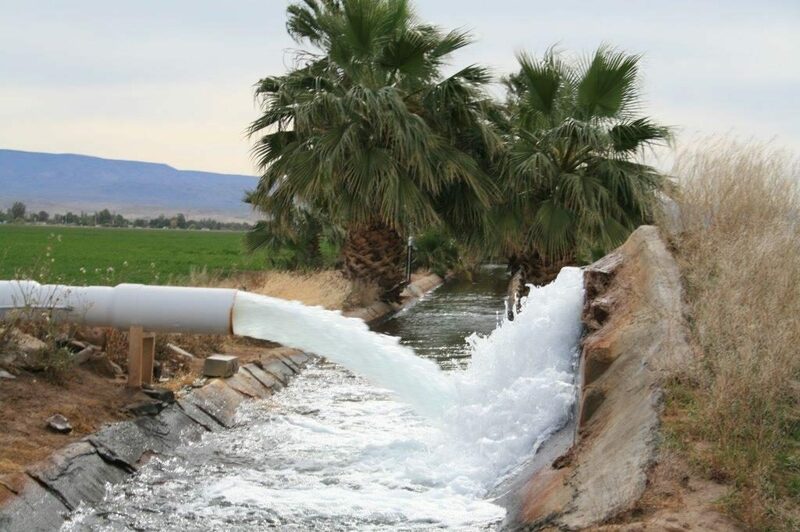 To work with ADWR and the Arizona State Legislature to require that water irrigation districts become part of the approval process for the drilling of water wells within the state. This would help ensure that wells drilled in the state have a legal right to the water they are pumping. To work with ADWR, BOR and others to increase the availability of re-use water available within the District. This would then free up fresh water for further development within the District. Develop a policy regarding the unauthorized use of water without an allocation from the District. This would help to eliminate the water being used and not accounted for by the District increasing the accuracy of our water reporting.